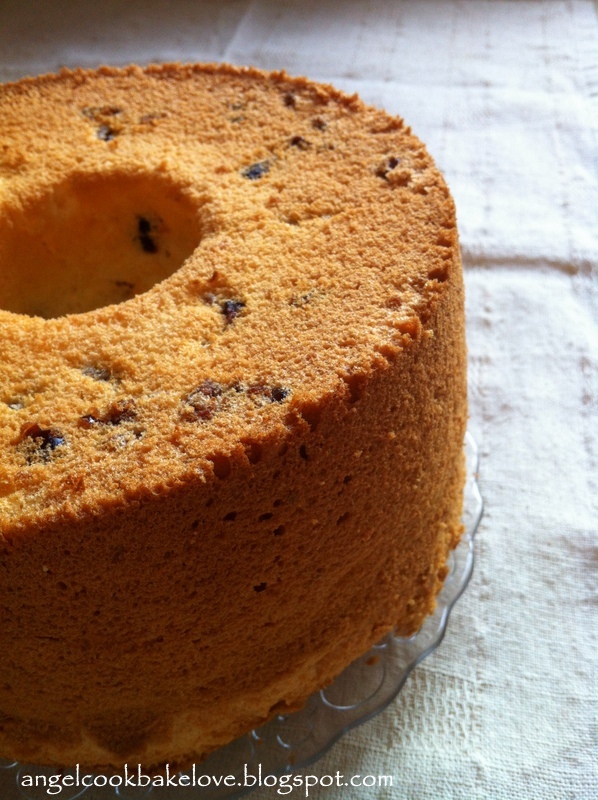 This is a very soft and moist chiffon cake with refreshing taste. If you have extra yogurt to spare, this would be a good choice. 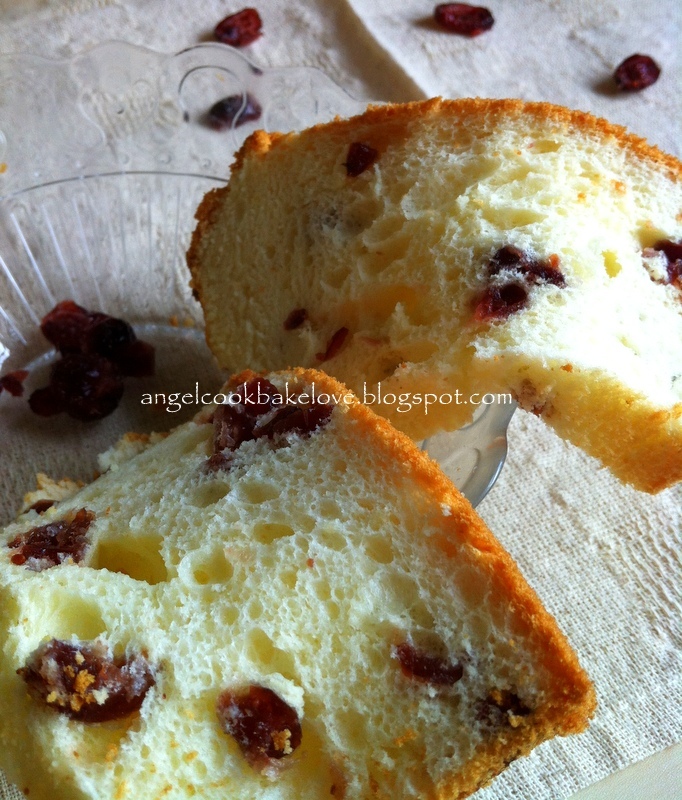 Soak dried cranberries in water for 10 mins, drain. Chop into smaller pieces. Coat with flour and sieve to remove excess flour. Set aside. Whisk egg yolks and sugar in a mixing bowl until well combined. Add in vegetable oil, whisk to combine. Add in yogurt and lemon juice. Whisk to combine. Sieve in flour and whisk till the flour is just incorporated. Do not over mix. Set aside. In another clean and dry bowl, beat egg whites till frothy. Add in sugar in 3 separate additions and beat till stiff peak. Fold in 1/3 of the meringue into the egg yolk gently with a hand whisk. Then fold in the remaining meringue with a rubber spatula till just blended. Add in the prepared dried cranberries. Fold in until just blended. Do not over mix. 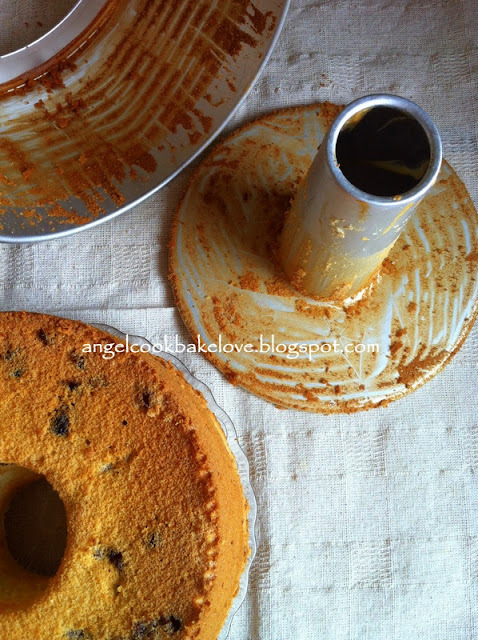 Pour batter into a 20cm tube pan. Tap the pan lightly on a table top to get rid of any trapped air bubbles in the batter. Bake in preheated oven at 180C for approx. 45 mins or until a toothpick inserted into the centre comes out clean. Invert the pan immediately and let cool completely before unmoulding. There will be a GIVEAWAY coming soon, so stay tune! wow, this look really soft and moist! yes, any cakes added with yogurt sure soft and nice! Angel, this look super soft!! yummy! it looks super yummy and soft, Angel! 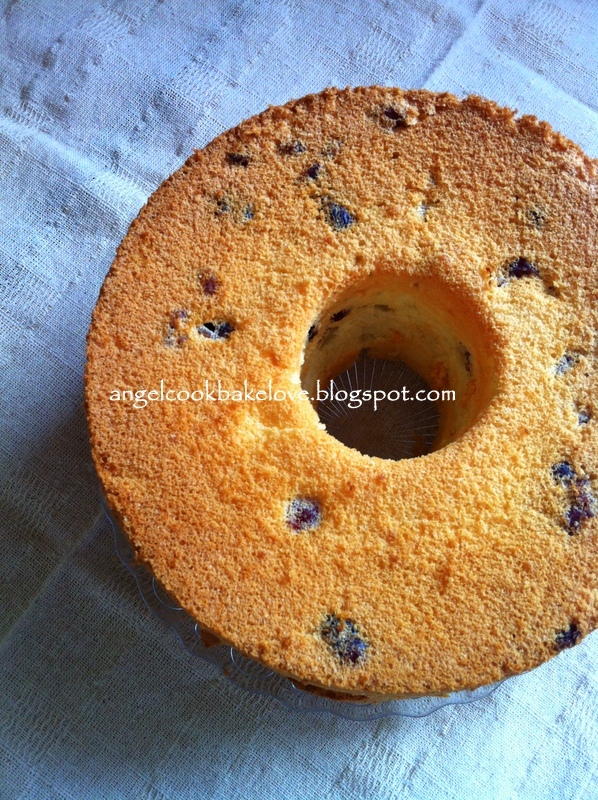 Since you like chiffon cake a lot you should try this recipe. If you make 17cm only need extra one white. The sponge cake recipe in 周老师 book need extra yolk if u make that then you will have extra white for this chiffon , haha. 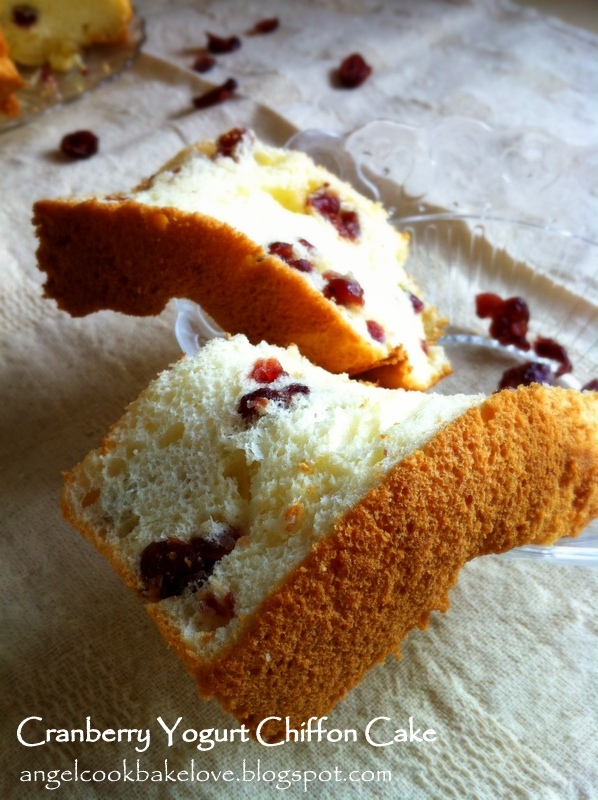 I love your nicely browned chiffon cake. It looks super soft and yummy!